Note: all of our pizza recipes use dough that is refrigerated overnight, so plan accordingly. 1. Here’s a great video in which Oli shows you how to stretch the dough. 2. 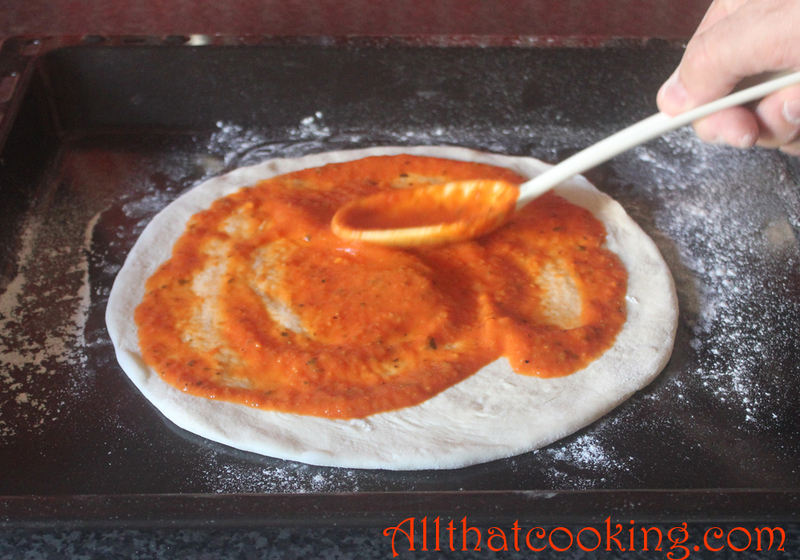 After you have streched the dough place it on a lightly floured baking tray. Spoon sauce evenly over the surface but stay away from the edge. Top with cheese. 3. 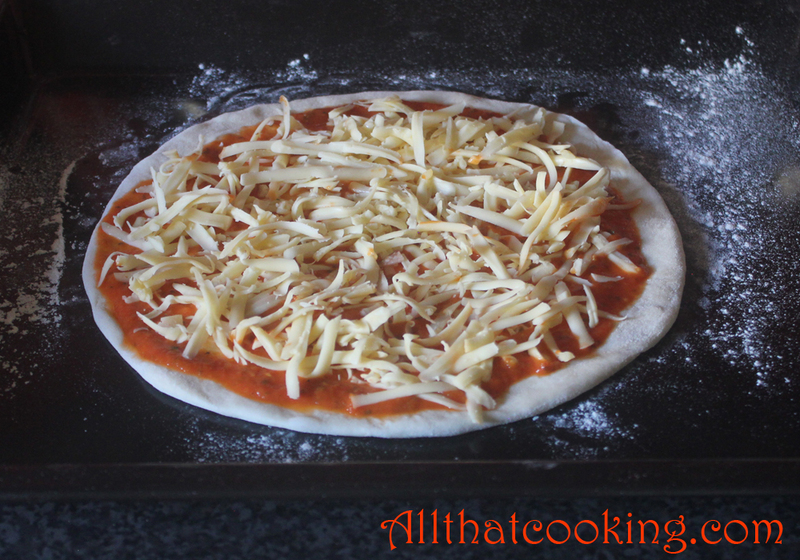 Bake in preheated oven 8-10 minutes, or until dough and cheese are golden. 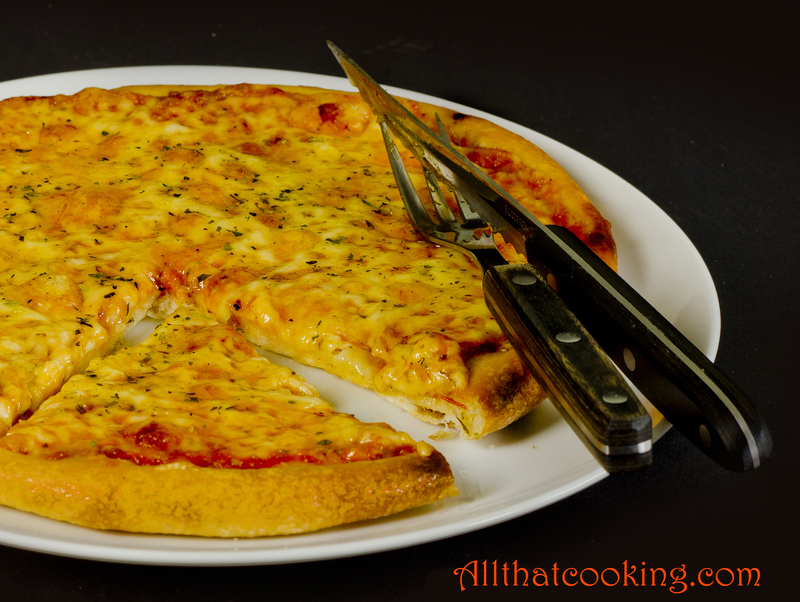 Gallery | This entry was posted in Main Dishes, Pizza and tagged pizza, tomato and cheese pizza. Bookmark the permalink. Talk about the perfect pizza! The crust and the topping are so beautifully created.